If you are contemplating a visit to our fair city, Cape Town and the beauty that surrounds it from all sides, let us confound you with even more items to add to your calendar for 2017, making an annual visit a must. We are going to take you on a diarised whirlwind of events and festivals to suit even the most discerning palate. 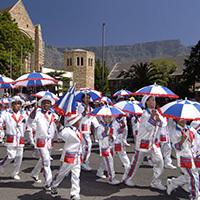 “Kaapse Klopse” or Cape Town Minstrel carnival – you thought the Mardi Gras in New Orleans was colourful and rowdy? Try over 10 000 dancing, banjo-playing, costumed musicians with their white-painted faces to set your feet tapping. Stellenbosch Wine Festival. Sample the best of the wine valley in the picturesque and historical town of Stellenbosch, whilst basking in the sun and marveling at the unique scenery and architecture of this university town. 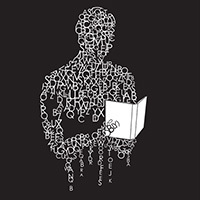 Woordfees or Festival of the Word, is the literary and art festival of the University of Stellenbosch. It is a celebration of art and literature, but also a celebration of this beautiful and historic town, as all events are in town and restaurants and pubs partake with gusto. Paarl “Ommiberg” or Round the Mountain festival, celebrates the harvest season by featuring the region’s young wines, before they are filtered. There are 14 venues taking part and each farm will also offer food and more food. Lamberts Bay Crayfish Festival is two and a half hours’ drive from Cape Town, you will encounter the Diamond of the West Coast as well as the crayfish mecca of the region. Come and sample this most delicious of seafood and learn to cook it too… well worth the drive. Good Food & Wine Show welcomes all to the finest food and beverage exhibition you will find..anywhere. Meet celebrity chefs and taste their creations at various stalls and exhibits. Attend workshops and demonstrations with top local and international chefs.. The Knysna Oyster Festival is without a doubt one of the most popular events in the Western Cape. From humble beginnings in 1983, where it began as the Knysna Winter Festival, it is now heralded as the”Best 10 days of your Winter”. It is spread across two weekends. Come and sample undoubtedly the best oysters, served naked, cooked or garnished at over 30 local hotspots. 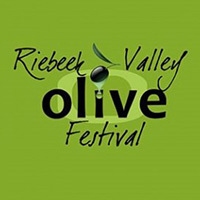 Robertson Slow Festival time will go by slowly in the beautiful Robertson Wine Valley when visitors are welcomed into the homes and dining tables of selected wine farms and guest houses. Look forward to traditional fare like “waterblommetjie bredie, melktert, venison and Karoo Lamb. Wine will be central to the weekend, and interesting combinations of wine with chocolate, cookies, charcuterie and more! 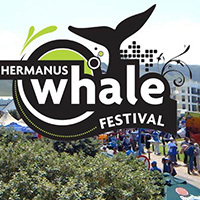 Hermanus Whale Festival this festival is held annually to celebrate the return of the Souther Right Whales to the waters of Walker Bay and a celebration of the arrival of Spring. Thousands of visitors flock to the seaside village to see the star performers strut their stuff in the waves. Whisky Live Festival Cape Town come and sample a wee dram of more than 180 top brands from master blenders in Scotland and Ireland to lesser-known spirit makers from Japan and Wales. Franschhoek Cap Classique & Champagne Festival kick off the silly season with the fizzy “Magic of Bubbles” festival at the Huguenot Museum. Sample the best in local Mèthode Cap Classiques, as well as French champagne from Veuve Clicquot and Guy Charbout, coupled with the variety of cuisine from the region.